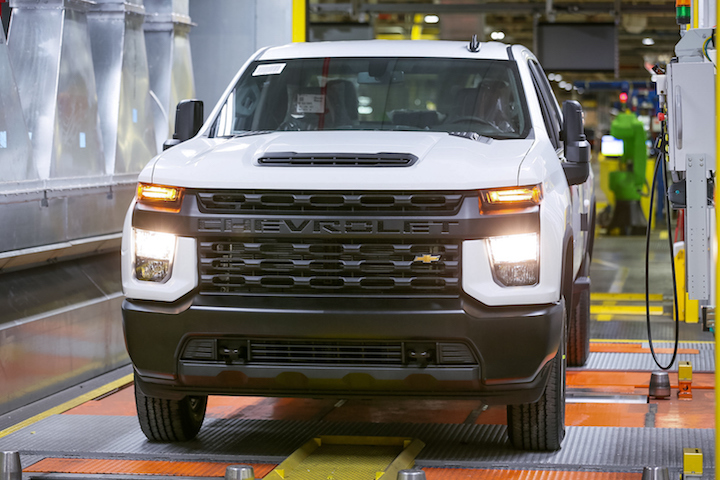 The internet had a somewhat negative reaction to the appearance of the 2020 Chevrolet Silverado HD, particularly the lower-end trims, which caught General Motors off guard. 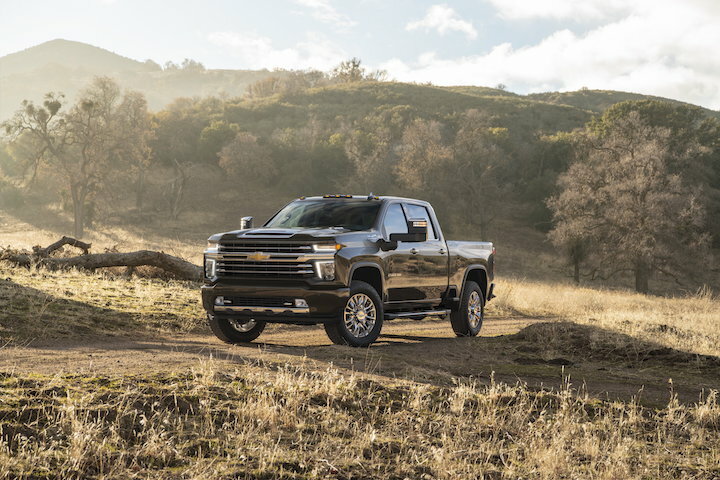 As all major manufacturers do with their vehicles, the automaker asked customers for feedback before giving the 2020 Chevrolet Silverado HD’s design the green light. The design that they picked was one of the more popular designs in focus groups, Silverado marketing manager Hugh Milne told Autoblog in a recent interview . It didn’t just ask GM fans what their opinion of the truck was, either – the company also quizzed owners of competing heavy duty trucks. Milne also questioned if the criticisms being levelled at the truck were from actual heavy duty truck buyers who are in the market for a new truck. “How much of that reaction is from people who actually buy these trucks?” he asked. We think that Milne has a point in that regard. After all, the internet is an open forum and some of the people spouting their opinion on the 2020 Silverado HD may not be in the market for a heavy duty truck, may not live in a region where the truck is sold or may not even be old enough to drive. At the same time, though, the Silverado HD is certainly against the grain and this may serve as proof that focus groups don’t always result in valuable feedback. The 2020 Silverado HD will be offered in three trim levels: Work Truck, Custom, LT, LTZ and High Country. GM says the lineup will also include 2500HD and 3500HD Regular, Double Cab and Crew Cab models, which will be offered with standard length and long cargo boxes. Two chassis cab frame lengths will be on the table too. GM says the 2020 Chevrolet Silverado HD will go on sale this summer. Pricing is expected to be released closer to the on-sale date. Todays GM: Ran by bean counters and focus groups. Paid by China. The Silverado isn’t sold in China. I have to admit I was completely taken aback by the new design and wasn’t a fan…at all. But the design grew on me, especially the front end, and now I love it. In regards to the above, I actually do own a Sierra 2500. I do like new the Sierra as well, but if I was looking to replace my truck I would take the Silverado HD. The truck design is fresh and unique, I like that. I have liked it so far but still want to see it in person. I am normally a GMC guy but the GMC is a bit too much as the Ford and Ram are. I like the body color nose the best with the black grill. As a fan of HD trucks even though I’ve only owned 1/2 ton trucks I really like this new look. I like how they differentiated the HD models from the rest of the line up. The paint matched models look sharp as does the high country. I own a 2016 Silverado HD and the new one is hideous. GM keeps saying the focus groups loved it when we showed them. Who were in these groups? I never received any invitation… but seriously. The 1500 falls flat, the interiors fall flat, and now the HD? It makes me wonder what exactly is shown during to these groups. Were they shown all angles of the truck? For example the red one posted above in the article doesn’t look half bad at that angle. But then you look at the front of the white one in the next pic you know there’s no way the focus group liked that if they were actually shown that. Then you gotta wonder how much was changed after the focus group voted i.e. bean counters. GM wants to say the internet doesn’t buy these trucks but it reality it does especially in today’s market. Everyone uses the internet, everyone sees the opinions people have on these trucks. Most people will not buy a truck they feel everyone else believes is ugly. Yes you will get the ones that say well I buy what I like. But the truth is in today’s society people want what everyone else likes. And unfortunately not many like this design. The 1500’s are already falling behind in sales due to this. GM can spin it however they like, lack of marketing, whatever, but the truth is a redesign can’t come soon enough. “People want what everyone else likes”. That is the problem with focus groups, that all manufacturers are supposedly using. You get vehicles that look a lot alike. Where the “bean counters” come in is in the “packages:. It is cheaper and more convenient to not allow too much personalization in the details. Don’t like chrome? Too bad if you want this other feature. Don’t like a center console? Sorry, get the low end model. I will be getting a Chevrolet or GMC HD diesel later this year, I need one and I don’t see a better choice with Toyota or Nissan. But it doesn’t mean I don’t want to gripe about what is available. Pickup trucks are so profitable, maybe if the chicken tax was repealed we would get more outside manufacturers gambling on meeting what are apparently niche markets, giving us real choice. If this is the design that the focus groups said was the best, I hate to think what the ones they didn’t like looked like! I’m also a GM HD owner and to be honest I’m struggling a bit with the new look. I’m not afraid of change but the LTZ, LT and WT models just look off from the head on view. With some beefier wheels and tires the High Country has potential but I’m still really disliking the door mount mirrors. IMO the LTZ should have also received a version of the bowtie grill to better distinguish the top trim levels. I’m curious if the focus groups saw the actual trucks or just the concept drawings. I think the drawings looked much better than the actual production model. I’ve never been a fan of the current 15-19 overly square wheel wells and can honestly say I like the 20 wheel wells better. I’m also stoked they finally hid the DEF tank! The 20HDs are clearly more capable trucks but it’s going to take me a minute to warm up. The look grown on me, I’d like the look GMC better. Can anyone here honestly look at the white one above and say it looks good? Do they like the black grille bar wrapping around and between the lights? The tiny gold bow-tie? I have owned several new Chevy and GMC trucks throughout my lifetime. The last three were 2500 HD trucks. When GM wants to upgrade the styling of their trucks, they always make changes with the headlights and grill. Gm decided to go with tiny lights and a huge grill. Like the grill. It looks good on a big truck. But the small lights and their location looks very out of place on such a large truck. Too radical or futuristic. GM needs to revamp the front of these trucks ASAP. Don’t like the mirrors, but could live with them and other changes, such as molded fenders and wheel wells. But, the front end is definitely a turn off, especially on the Chevrolet. GMC is so so. Love the rest of the truck. I’ve been a Chevy fan my entire life and have bought 3 new Chevy HD trucks in the last 4 years and currently own a 2018 Chevy 2500HD Duramax and think the new truck looks terrible. I was also not invited to vote on the looks. Massive grill and tiny lights look hideous. I hope nothing happens to my truck because I certainly would not buy a 2020 Chevrolet HD truck. I was also thinking how terrible the other designs must have looked that they picked this one. Now, all they would have to do is lower the middle bar and make the top light bigger and the lower lights smaller. I think it would really make a big difference. Honestly I don’t know why focus groups are even necessary. Just design a clean tough looking truck that is 100% competitive inside and out and the rest will take care of itself. If a designer has to ask if it looks good or not it might be time to change the designer! I like it better then the 1500 front end although the 1500 is growing on me. I hate the heads light’s on the F250 as well.. I relate strongly. I’m only 15, and saving for an ’06-10 Impala, but I still like these trucks. I bought a used 2007 2500HD in 2010, it is a regular cab, 8 foot bed. I would like to buy a 2020 2500HD double cab if they still come with a 8 foot bed. I do not like the short or “long” beds. I guess if I buy one it will be a regular cab with the 8 foot bed. Again, more proof that GM’s marketing department clearly has zero clue how to operate. GM’s marketing department is taking so many L’s with their dumb and infuriating ” real people” ads, then this fugly ” focus group approved” heavy duty truck. What’s next GM? How about a new director of marketing? I would not buy any other HEAVY DUTY 1 TON but a GMC I have owned gmc trucks 62 Apache step side, 71 3/4 4×4 tuff as it get, 77 Sierra grande camper special 5 wheel hauler, 2012 GMC HD 3500 Z71 4X4 6in lift in front, 4in rear, lots of extra… I can afford it now. Lol that and my ZL1 that’s right. I’ve owned two 3500 Denali’s and two 3500 High Country’s (all with the Duramax) and I’ll be buying this one as well. I happen to like the new look but I don’t buy these trucks for the way they look. I like they way they drive. I like how they handle. I like the fact that my rigs don’t have problems getting the job done. I like passing a Super Duty who’s blowing smoke up the pass and I’m pulling 10K more than he is. Fact is I can’t see what the outside looks like when I’m driving it and I spend WAY more time driving it than I do looking at it! Like some people I wasn’t sure of the design first time out of the box. It has grown on me, it is different to the competitors and should date gracefully. Hopefully it’s durability and reliability over time is also class leading.